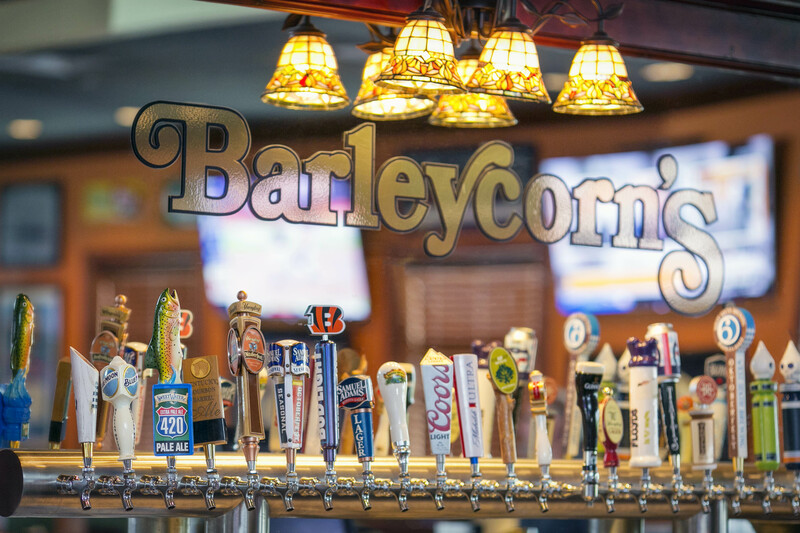 Come to Barleycorn’s for Happy Hour Monday-Friday from 10:00 pm to close! Enjoy $2 domestic pints, a .75 cent discount on all beer, wine, and cocktails. From 3:00 pm to 6:00 pm, we offer the same drink discounts and a $1.50 discount on appetizers. We have 30+ beers on tap including all your favorite craft beers and cold brews. Enjoy a wide assortment of IPAs, ales, lagers, and domestics to fit every occasion and taste. This holiday season try one of our seasonal cocktails or beers. We have a classic Kentucky Vanilla Cream Ale, a classic American-style ale brewed with vanilla beans and aged for six weeks in a bourbon barrel. Or, try a Great Lakes Christmas Ale full of sweet honey and holiday spices. We also feature 3 Floyds Robert the Bruce: a full-bodied Scottish-style ale with a rounded malty profile and roasted biscuit-like notes. We also host several limited releases so make sure you follow us on Facebook for all the latest Beer Tapping Announcements. During the summer months, enjoy happy hour outside on our patio. Grab a drink, head outside and enjoy the outdoors with your friends! The patio closes the same time as the restaurant, so feel free to enjoy the warm summer air late into the night! Our restaurant hours are as follows: Cold Spring and Florence locations close at 1:00 am Monday-Wednesday, 2:30 am Thursday-Saturday, and 12:00 am Sunday. The Lakeside Park location is open until 2:30 am every night! Need another reason to stop by for happy hour? 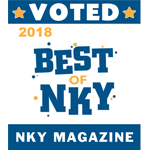 Come in and see why we were voted Best Happy Hour in NKY Magazine’s Best of NKY contest. Is it the great selection of beer, wine, and cocktails? Our energetic atmosphere? The great apps? The fantastic customer service? We’ll let you decide. What are you waiting for? Get over here!